The Chaplain of the United States House of Representatives is the officer of the United States House of Representatives responsible for beginning each day's proceedings with a prayer. The House cites the first half of Article 1, Section 2, Clause 5 in the United States Constitution as giving it the authority to elect a Chaplain, "The House of Representatives shall choose their speaker and other officers". The office of the Clerk of the House explains "The other officers have been created and their duties defined by the rules of the House, which also are made pursuant to the authority of the Constitution, hence one of the rules prescribes the duties of the Chaplain." In addition to opening proceedings with prayer, the Chaplain provides pastoral counseling to the House community, coordinates the scheduling of guest chaplains, and arranges memorial services for the House and its staff. In the past, Chaplains have performed marriage and funeral ceremonies for House members. Chaplains are elected as individuals and not as representatives of any religious community, body, or organization. As of 2011, all House Chaplains have been Christian but can be members of any religion or faith group. Guest Chaplains, recommended by congressional members to deliver the session's opening prayer in place of the House Chaplain, have represented many different religious groups, including Judaism and Islam. The current House Chaplain is Fr. Patrick J. Conroy, S.J., the first Jesuit priest to hold the position. Conroy was sworn in May 25, 2011. Conroy was asked to resign by House Speaker Paul Ryan, with an effective resignation date of May 24, 2018. Approximately two weeks later, Conroy rescinded his resignation and announced his intention to remain in the role after objections to Ryan's actions were raised by lawmakers on both sides of the aisle. The Chaplain of the United States House of Representatives is chosen to "perform ceremonial, symbolic, and pastoral duties". These responsibilities include opening House sessions with a prayer or coordinating the delivery of the prayer by guest chaplains recommended by members of the House. The House Chaplain is also responsible for "hosting" Guest Chaplains on the day they deliver prayers. The Chaplain also provides pastoral care for members of Congress, their staffs, and their families, and provides or oversees religious programs such as Bible study, reflection groups, and the weekly Senate Prayer Breakfast. The Chaplain also often presides over religious ceremonies such as funerals and memorial services for current or past members and participates, offering delivering the invocation or benediction, at many official U.S. ceremonies, including White House events. In a January 2011 post on "On Watch in Washington", the Chaplain of the Senate as well as the Chaplain of the House were included as part of "Obama's Spiritual Cabinet". Along with the Senate Chaplain, the House Chaplain is responsible for overseeing the Capitol Prayer Room, located near the Capitol Rotunda. Dedicated in 1955, there are no worship services held in the room, nor is it normally open to the public. Instead, as described by Sam Rayburn during the room's dedication, it is a place for members "who want to be alone with their God." The inclusion of a prayer before the opening of each session of both the House and the Senate traces its origins back to the colonial period. At that time, when the question of Church State separation had yet to be raised, it was de rigueur for colonial assemblies to have chaplains, who would open proceedings with prayer. Following these examples the Second Continental Congress, after a request from Samuel Adams, appointed Anglican priest Jacob Duché to serve as chaplain on September 5, 1774. On that day Rev. Duché read the service of the church of England and an extemporaneous prayer before debates continued. Rev. Duché was later made the official chaplain of the Continental Congress and served in that capacity until five days after the signing of the Declaration of Independence. The Clerk of the House notes that "On December 22, 1776; on December 13, 1784; and on February 29, 1788, it was resolved that two chaplains should be appointed. So far for the old [unicameral] American Congress [under the Articles of Confederation]." The Clerk of the House points out "The chaplain opens each day's session with prayer, for which he receives a salary...It is not stipulated that prayers be short, or that Members stand during the service, but brevity and reverence are usually observed." The election of William Linn as first Chaplain of the House on May 1, 1789, continued the tradition established by the Second Continental Congress of each day's proceedings opening with a prayer by a chaplain. Shortly after Congress first convened in April 1789 in New York City, one of its "first orders of business" was to convene a committee to recommend a Chaplain, eventually selecting the Reverend William Linn as the first Chaplain of the United States House of Representatives. The Clerk of the House relates "The First Congress under the Constitution began on the 4th of March, 1789; but there was not a quorum for business till the 1st of April. On the 9th of that month Oliver Ellsworth was appointed, on the part of the Senate, to confer with a committee of the House on Rules, and on the appointment of chaplains. The House chose five men - Boudinot, Bland, Tucker, Sherman, and Madison. The result of their consultation was a recommendation to appoint two chaplains of different denominations - one by the Senate and one by the House - to interchange weekly. The Senate appointed Dr. Provost, on the 25th of April. On the 1st day of May, Washington's first speech was read to the House, and the first business after the speech was the appointment of Dr. Linn as chaplain. ...The law of 1789 was passed in compliance with their [the joint committee's] plan, giving chaplains a salary...It was reenacted in 1816, and continues to the present time. ...Originally the chaplain was not an official of the House. A concurrent resolution named two clergymen of different denominations, who, interchanging weekly supplied the Senate and House." The two Chaplains also conducted Sunday services for the Washington community in the House chamber every other week. When the body moved to Philadelphia in 1790, and then to Washington, D.C., clergy from various Christian denominations ("mainline Protestant denominations--usually Episcopalians or Presbyterians") continued to be selected, delivering prayers and presiding at funerals and memorial services. During this early period, Chaplains "typically served" for less than a year while concurrently serving in non-congressional positions. Clergy have served in the official position of House Chaplain for all years since the office was created except for the brief period of 1855-1861 (and the Senate has had chaplains for every year except 1857-1859). 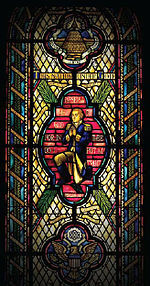 According to the Clerk of the House, "During a protracted struggle over the organization of the House [due to internal division within the ruling party over slavery] in the 34th Congress, and before a Chaplain was elected the House was opened alternately with prayer daily by minister of the gospel of Washington." The "status [of the chaplain] remained unfixed. It was objected that neither the Constitution nor the law recognized such an officer, and not until the payment of his salary depended upon his taking the ironclad oath, adopted in 1862 did his official character become established." Since 1914, the Chaplain's Prayer has been included in the Congressional Record. The Chaplain of the House of Representatives and the Chaplain of the Senate became full-time positions in the middle of the 20th century. The Chaplain must be elected to a two-year term at "the beginning of each Congress". Both the House and Senate Chaplains are elected as individuals, "not as representatives of any religious body or denominational entity". Selection of House Chaplains has "generally not been subject to party considerations". The question of the constitutionality of the position of the House Chaplain (as well as that of the Senate Chaplain, and at times, that of military chaplains as well), has been a subject of study and debate over the centuries. Opponents have argued that it violates the separation of church-and-state and proponents have argued, among other factors, that the fact that the same early legislators who wrote the United States Constitution and its Bill of Rights, from which the position of "non-establishment" and church and state separation is derived, were the same ones who approved and appointed the chaplains. Due to the prolonged struggle to elect a Speaker of the House in 1855 no official chaplain was named either. To continue the tradition of opening with prayer local D.C. ministers were employed. According to the Clerk of the House "Their prayers, it seems, too often evinced something of the partisan spirit [over slavery and State's rights] that characterized the pending controversy, and in the following Congress (1857) certain Members who claimed that the employment of chaplains conflicted with the spirit of the Constitution and tended to promote a union of church and state, made a determined effort to discontinue their use. This aroused the churches of the country". This led to "an acrimonious debate [in] the House" which resulted in an overwhelming majority resolving "That the daily sessions of this body be opened with prayer". In addition to court cases, controversy regarding the Chaplain's position included a number of petitions to abolish both the Senate and House Chaplains that were submitted as early as the 1850s, for reasons including claims that the positions represented a violation of the separation of church and state and that the choice of chaplains had become too politicized. From 1855–1861, the election of Chaplains for the House and from 1857–1859, the election of Chaplains for the Senate were suspended, with local clergy invited to serve on a voluntary basis, instead. However, as a result of "the difficulty in obtaining volunteer chaplains" and the opportunity for volunteer chaplains to get to know "their flock", Congress returned to the practice of selecting official Chaplains for both the House and the Senate. Reverend William H. Milburn while serving as Chaplain in the 52nd Congress "got into the habit of praying against gambling in stocks and bonds". "So regular and persistent were the Chaplain's daily attacks upon 'bucket shops'" that Rep. Dunham from Chicago ("a prominent member of the Chicago Stock Exchange") "went to [House Speaker] 'Tom' Reed and objected vehemently to what he said was getting 'personal'". Reed dismissed Dunham's concerns out of hand, claiming "it's only the Chaplain's way of telling the Lord all the news". In September 2000, guest chaplain Venkatachalapathi Samuldrala opened a session with a Hindu prayer sparking protests from some Conservative Christian media figures. Fr. Patrick J. Conroy S.J. (born October 31, 1950), a Roman Catholic Priest, currently serves as the 60th Chaplain of the House of Representatives. His selection was announced by the office of John Boehner, Speaker of the United States House of Representatives, on May 6, 2011, and he was sworn in as the new House Chaplain May 25, 2011, following a unanimous confirmation of his nomination by the House. Conroy delivered his first prayer as House Chaplain on May 26, 2011. In mid-April 2018, Conroy tendered his resignation, effective May 24, 2018. Though it was reported that House Speaker Paul Ryan requested Conroy's resignation, neither the reason for that request, nor the name of his successor, was immediately known. Approximately two weeks later, Conroy rescinded his resignation and announced his intention to remain in the role after objections to Ryan's actions were raised by lawmakers on both sides of the aisle. The following table represents a breakdown by religion of past and current House Chaplains. It also shows the median year that chaplains of that denomination served. The total number does not match the official number of House Chaplains, which as of 2018[update] is 60, because the numbers in this table represent individuals and some individuals served in the position more than once. ^ a b c d e f g h i j k l m n o "Miscellaneous Historical Data on Chaplains in the House of Representatives of the United States". Congressional Record: Volume 110. 1964. pp. 3176–3178. ^ Jesuit High School, Oregon, retrieved May 6, 2011. ^ a b c thehill.com, retrieved May 25, 2011. ^ Swanson, Ian (2018-04-26). "House chaplain forced out by Ryan". The Hill. Retrieved 2018-04-26. ^ Connolly, Griffin; Connolly, Griffin (2018-04-17). "House Chaplain Patrick Conroy to Step Down In May". Roll Call. Retrieved 2018-04-26. ^ DeBonis, Mike; Wagner, John; Kane, Paul (April 27, 2018). "Democrats, and some Republicans, denounce Ryan's ouster of House chaplain". Washington Post. Retrieved April 27, 2018. ^ a b c d e f g h i j "Brudnick, Ida, "House and Senate Chaplains: An Overview," Congressional Research Service report for Congress, May 26, 2011" (PDF). ^ a b www.senate.gov, retrieved July 27, 2011. ^ Congressional glossary: pro forma sessions, retrieved July 27, 2011. ^ www.gods-directions-for-life.com Archived 2011-09-10 at the Wayback Machine, retrieved July 27, 2011. ^ a b c Byrd, Robert C.,"The Senate:1789-1989 (volume 2, chapter 12), Washington, D.C., Government Printing Office, 1982 Archived June 29, 2011, at the Wayback Machine, retrieved July 27, 2011. ^ Partial list of guest chaplains, from House of Representatives website, retrieved August 8, 2011. ^ "Congressional Prayer (historical, origin, years, country) - History -U.S. and World, studying past, wars, presidents, language, economy - City-Data Forum". www.city-data.com. ^ a b "Chaplains and Congress: An Overview from 1774 to early 1800's". candst.tripod.com. ^ Madison, James (1987). Notes of Debates in the Federal Convention of 1787 (Revised ed.). Athens, Ohio [u.a. ]: Ohio Univ. Press. pp. 209–210. ISBN 0821407651. ^ "Ministry of outreach" list, from office House Chaplaincy brochure, retrieved August 8, 2011. ^ a b c d e Baker, Richard A. The New Members' Guide to Traditions of the United States Senate. (Washington, GPO, 2006. S. Pub. 109-25), 14, cited on Senate website, retrieved July 27, 2011. ^ acheritagegroup.org, retrieved August 8, 2011. ^ www.speaker.gov, retrieved May 25, 2011. ^ www.c-spanvideo.org, retrieved May 28, 2011. ^ House Chaplain history, from House website, retrieved August 8, 2011. ^ From 1855 to 1861 the local clergy in the District of Columbia conducted the opening prayer. Thereafter, the House has elected a Chaplain at the beginning of each Congress. This article incorporates public domain material from the United States Government document "https://chaplain.house.gov/chaplaincy/history.html". Chaplain of the U.S. House of Representatives - Official site.